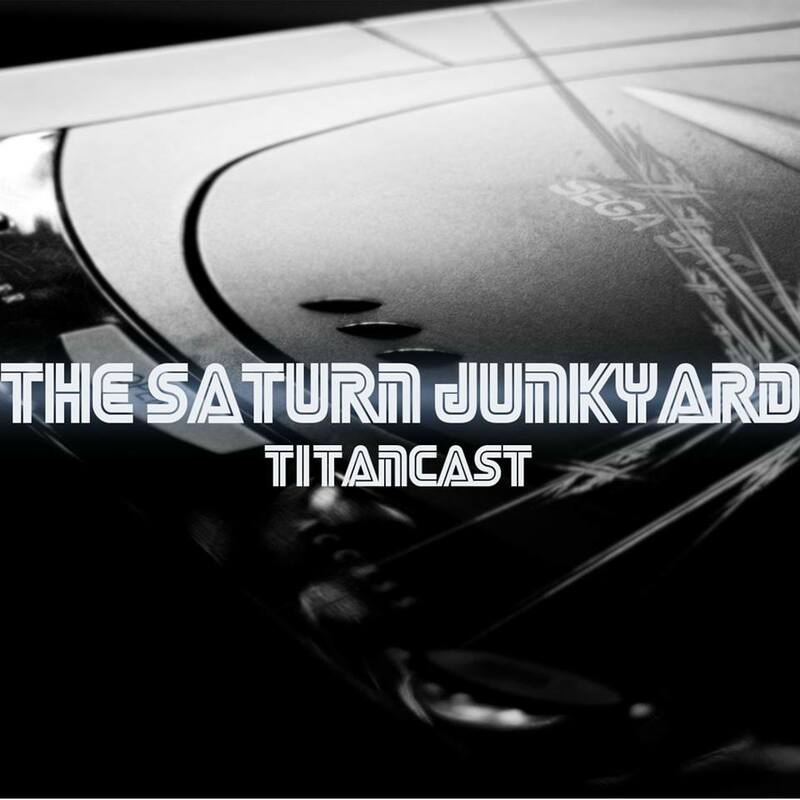 The Saturn Junkyard: Pure and Perfect Pandemonium! 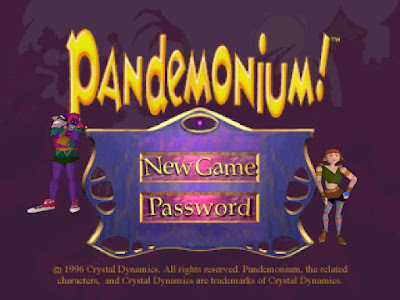 Pandemonium was developed by "Toys For Bob" and published by "Crystal Dynamics" in 1996. 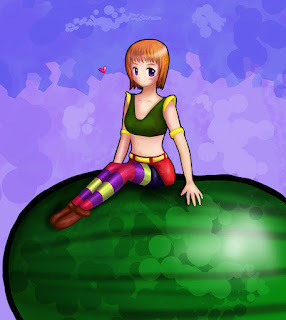 A very original action-platformer, this game was made from a "2.5D" perspective. For those of you like me, who didn't understand this term, I'll explain it as I see it. As well as you character running from right to left across the screen, as well as jumping up and down from the top of the screen to the bottom, your character also runs "into the screen" and "out of the screen" - towards the back of the screen, and back towards the front. Get it? "Bug" and "Bug Too" employ the same perspective. In reality it's 2D, but in appearance it's 3D. It's a very clever trick, and one I'm surprised wasn't employed more often. The story behind the game is told in it's cinematic opening... The scene opens with a castle in the fantasy land of Lyr . 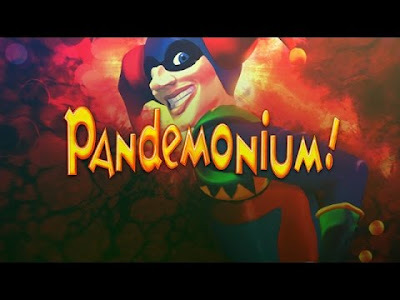 There, an ex-acrobat courtier called Nikki, is trying to impress her Jester friend Fargus, (voiced by talented trans-Atlantic actor Greg Proops) and his "talking head"-on-a-stick-companion Sid, with spells she has learned at "wizard school". Nikki's precocious talent causes her to run before she can walk, in classic sorcerer's apprentice style... Instead of conjuring up an army of marching brooms, doing a sinister, broomy, goose-step to the orchestral strains of a spooky refrain, Nikki conjures up a town eating demon called "Yungo". But like sorcerer Mickey Mouse in Fantasia, Nikki has no way of putting right, the devastating spell she has cast. Consulting the spell book she perhaps should have read prior to casting her spells, she realises that the only way to mop up her mess, is by travelling forth through the kingdom, to find a "wishing engine", that will grant her the wish she needs, to get rid of "Yungo", and return the village he has just consumed, to it's former state. 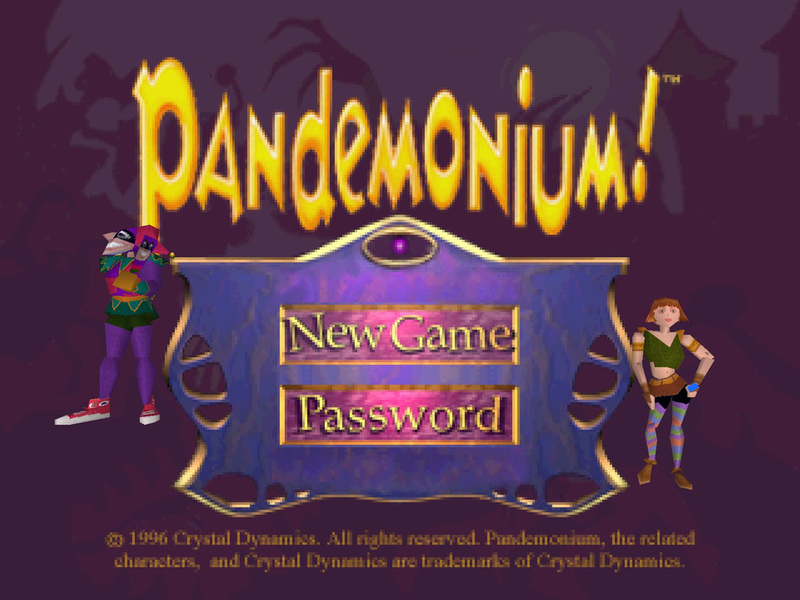 For you the player, this is your cue, to venture through the many stages and levels that make up the quest Nikki and Fargus are about to undertake. Travelling from the left to right across the screen, your mission is to traverse the landscape, avoiding the traps and adversaries you meet along the way. The variety of ways you are tasked to make this journey, is what provides the fun in this game. So let's take a look at what makes it special! Firstly, it's important to know that this game is not as straightforward as it looks. You are given the choice of which character you want to be - Nikki or Fargus - at the start of each level. 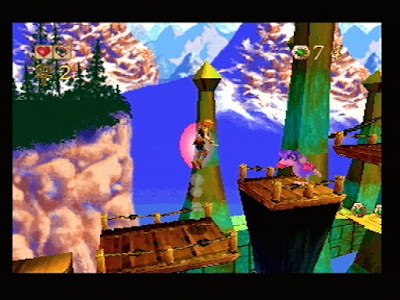 The different characters have different abilities... Fargus can do a spinning cartwheel through enemies, whereas Nikki can do a double jump. 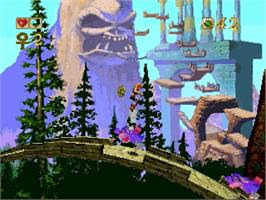 There are also branching paths and "special powers" to discover, plus extra health and extra lives hidden within each stage. These can make a tremendous difference to the ease of gameplay for each level. 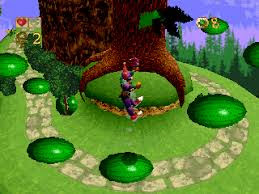 As well as travelling in a left to right, East to West direction, a central feature to the game is jumping and bouncing... 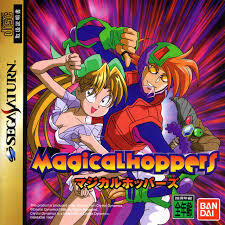 In fact, the games name in Japan is "Magical Hoppers". 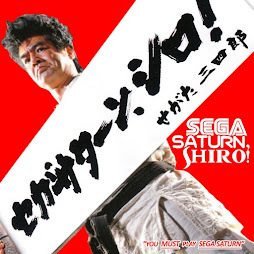 Essentially the same game - (it has animated cut-scenes rather than CGI) - the Japanese game has perhaps a more accurate name, but I would suggest a less inviting one! The bouncing/jumping mechanic is helped by a variety of objects... brightly coloured watermelons, toadstools and mushrooms, saw-blades, spider-webs and so on. These help your character to objects and treasures which may seem unobtainable at first. The physics are immaculate... somehow, jumping becomes intuitive... and you are able, with the correct timing and button presses, to jump effortlessly over spitting adversaries and looming bear traps. Along the way, your timing and accuracy are tested by a variety of ground textures that will hamper your progress... some are sticky and slow you down (e.g. spider-webs) and some are slimy and will speed you up (snail trails). As well as being able to cart-wheel through your enemies or jump on them Mario-style, you can sometimes obtain powers over your enemies... A zap of your power will result in shrinking them, incinerating them or freezing them, depending on which power you can access. 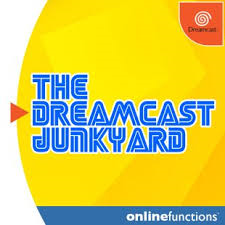 As well as intuitive gameplay and a physics engine/jumping mechanic that feels fantastic, the game has character and charm by the bucket-load. Visually it is a feast for the eyes and is one of those games that still look good, twenty two years after it's creation. The colour palette, animations and artistic direction are superb, On a big TV, the game doesn't look old or tired, it looks rich and inviting. My son recently walked into my room as I was playing it. He hadn't seen or played it for approximately twenty years. He smiled warmly. He gave it an immediate two word review that spoke volumes to me... "Sick game" he muttered. It's a game that still plays well twenty two years after it's debut. I started playing this particular title in February. I'm still ploughing through it slowly, at the end of March... But this is another great feature of the game... As you finish each level, you are given a code. 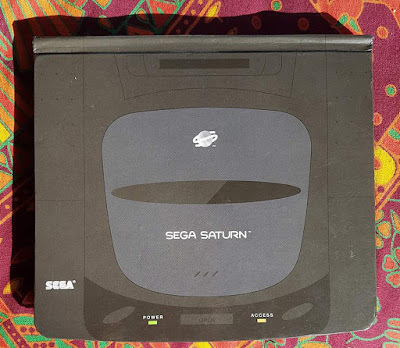 This allows you to start the game at whatever stage you last achieved, on whatever Saturn you choose to play the game on... no need for internal saves, memory cards or batteries... no chance of losing your progress. 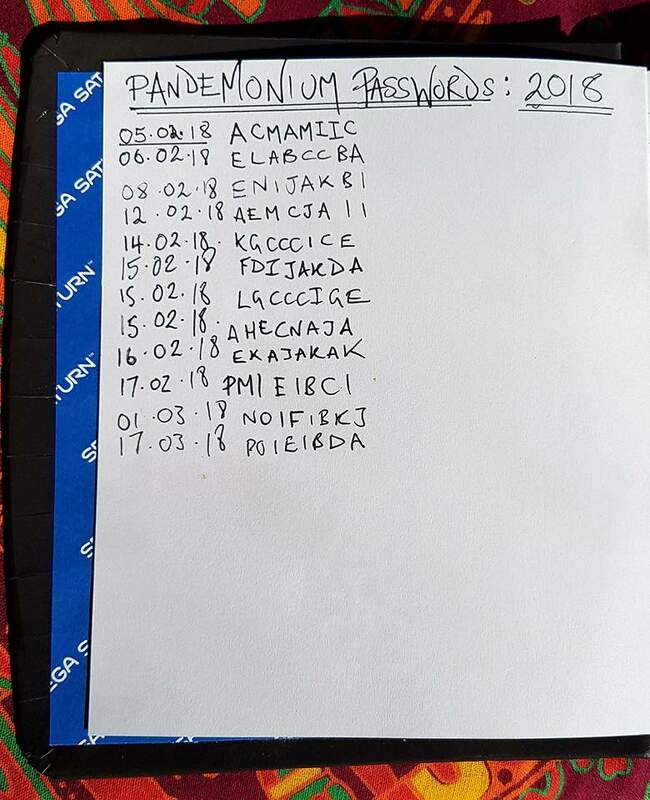 I've been recording these in a special Saturn book, given to me by Junkyard team member Simon Gale... This shows me how often I'm playing... the times when I'm completing the levels daily, are where I'm energised or focused...the times when my progress is weeks apart, is where I'm feeling tired or scatty. 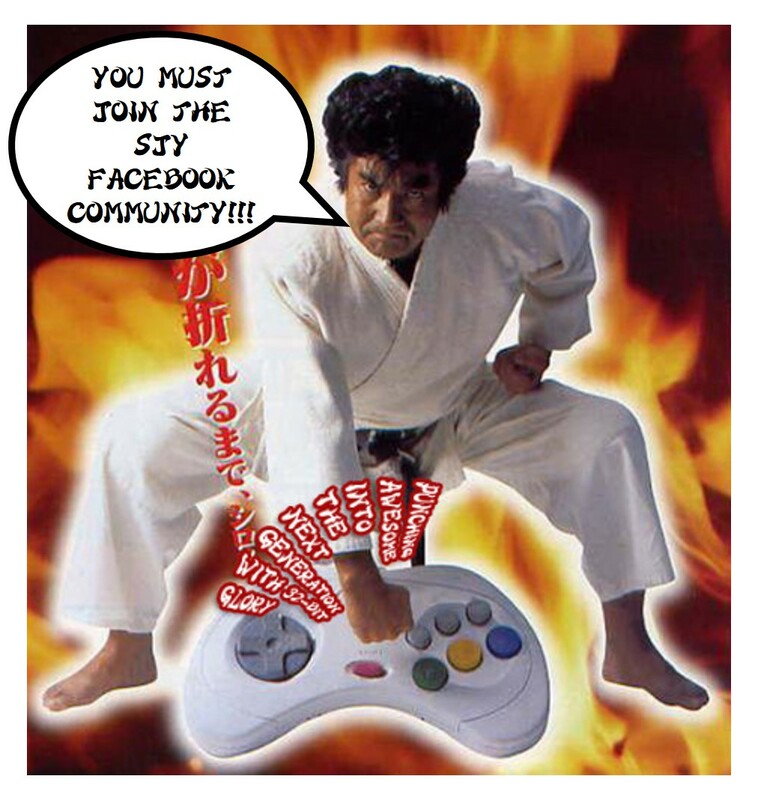 I recently asked the question on the Facebook page... why didn't more games employ this mechanic? I hope the video and photos I have put on this article convey the beauty and simplicity of this unique game. Apart from Bug, I can't think of many games that utilise the 2.5D mechanic as effectively... it's visual trickery under-used by many developers. My one sentence review would be that the gameplay is a s fresh today as it was on the day of release. It goes for about £30 boxed and £7 unboxed on eBay UK at the time of writing... 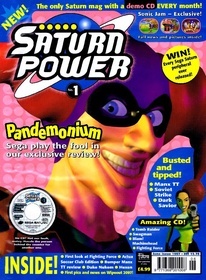 It's a "must have" game for any serious Saturn collector. I'll let you know how Magical Hoppers turns out after I get it! Nice write-up. 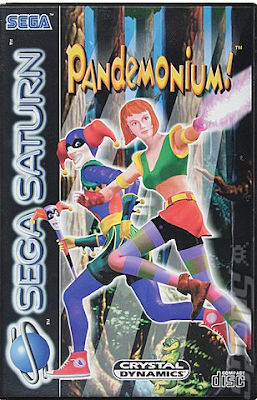 I also love Pandemonium. It has nice music and imaginative levels. Would you agree that NiGHTS is also essentially a 2.5D game? 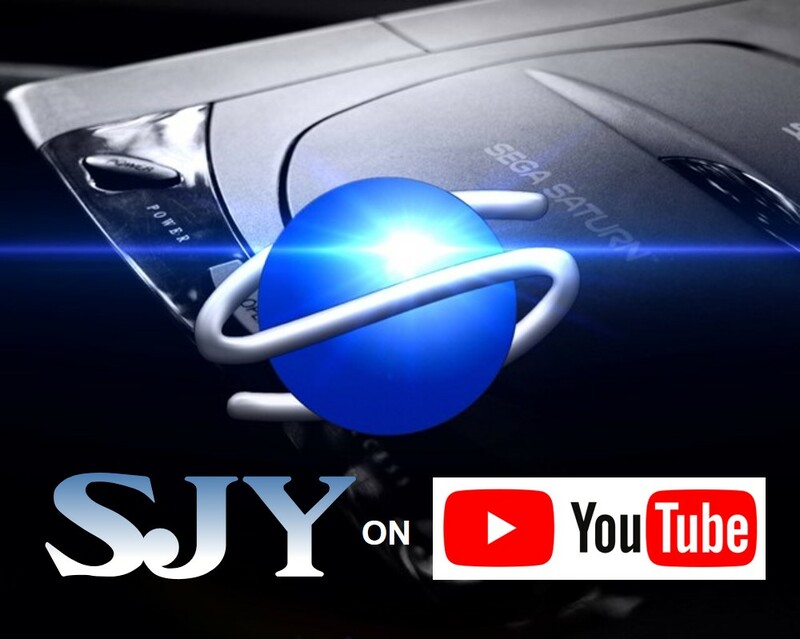 Excellent article, Simon! I just popped in Magical Hoppers for the first time last weekend. I’m looking forward to playing it more. Yes your absolutely correct Peter! I'm now annoyed that I didn't make the connection! 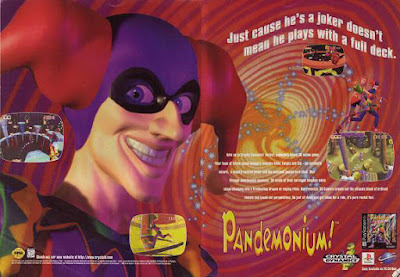 Particularly as both feature a killer colour palette and a jester! One of my favorite 32-bit platformers from back then. Thanks for the write-up. 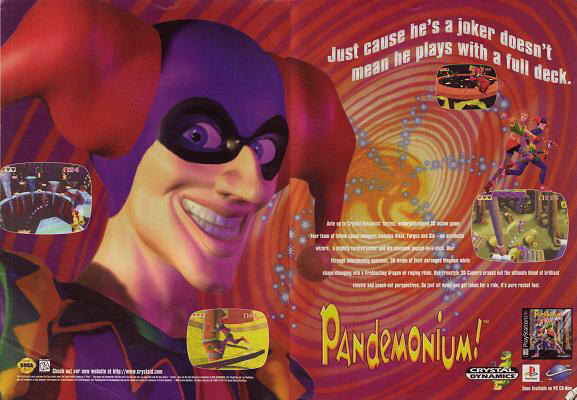 I always thought it was a shame how it got overshadowed by others at the time (Crash, Mario 64, etc.) I know it's not nearly as polished as though, but the level design was really creative in parts, especially how they used the camera angles. I really need to give this game a serious try. 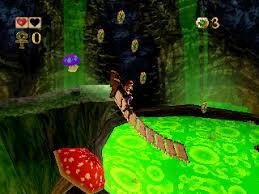 I've only dabbled on it before, but never got further than the first couple of levels. You definitely raised my interest!